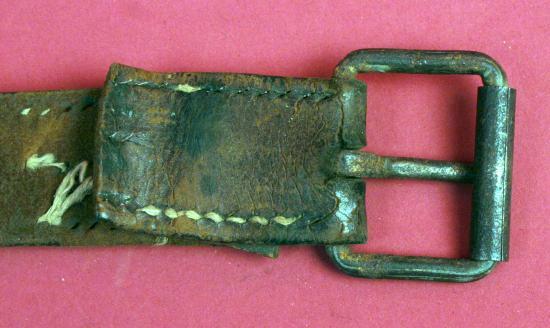 Very early 1930s EM/NCO leather field belt with steel buckle. 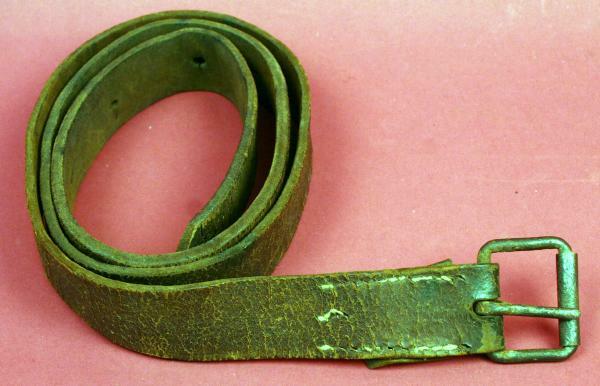 Narrow 1.25" width leather, 50" length. Leather still pliable. 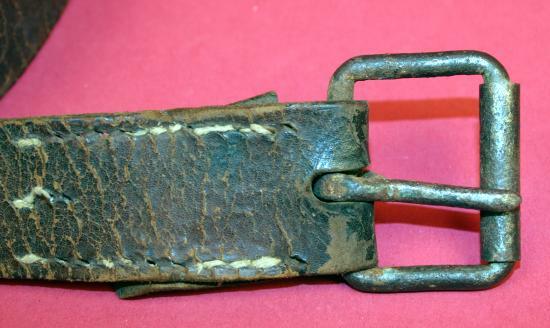 Good appearance, but since the leather has started to crack in numerous places (after a lot of hard campaigning), we suggest that this would look (and continue to survive) best on a manikin or on a shelf as part of a WW 2 Soviet uniform or equipment display). Some of the treads holding the loop that secures the buckle came undone, but the buckle is still affixed and will stay reliably in place if undisturbed.